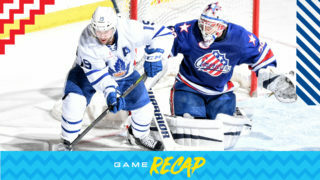 The Marlies dropped a tough one at home tonight, falling 5-2 to the visiting Rochester Americans. 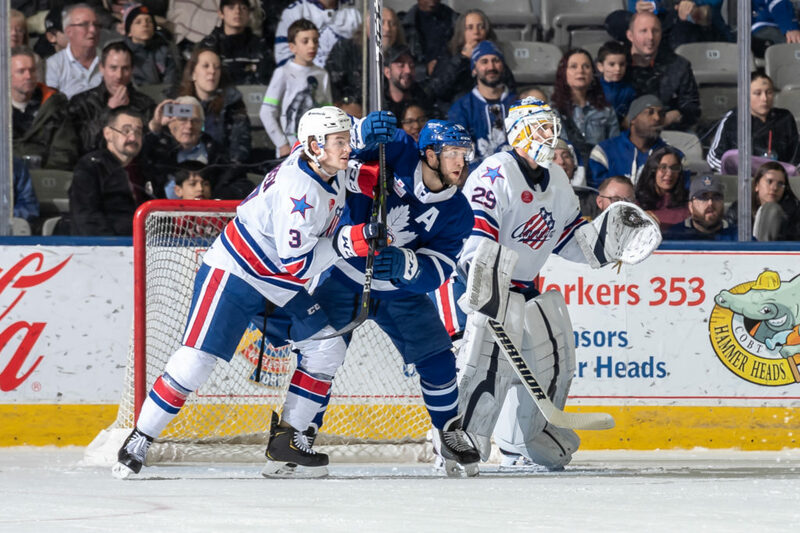 The game remained pretty even through 40 minutes of play, but three third period goals propelled the Amerks ahead, and the Marlies were unable to climb their way back. Chris Mueller notched the opening goal at 13:27 of the first, tapping home a slick feed from Jeremy Bracco. With the assist, Bracco set a new single-season Marlies franchise record with 53 assists in a 76-game season. Timothy Liljegren picked up the secondary assist on Mueller’s 29th of the season. The Amerks responded at 16:51 as Remi Elie beat Hutchinson and evened the score 1-1. Assists on Elie’s seventh of the season went to Wayne Simpson and Kyle Criscuolo. The Marlies were held to only three shots on goal in the opening 20 minutes but sat even at 1-1 on the scoreboard. The second period was an even back and forth affair with each team exchanging a goal and eight shots. The Amerks jumped ahead 2-1 early in the second on a goal from Criscuolo. At 13:30, Nicolas Baptiste scored his first with the Marlies to even things back up. Pierre Engvall and Liljegren added the assists on Baptiste’s 13th of the season. The score remained locked at 2-2 heading into the final frame. Things slipped away from the Marlies in the third period as the Amerks jumped ahead by two and added an empty net goal late in the third. 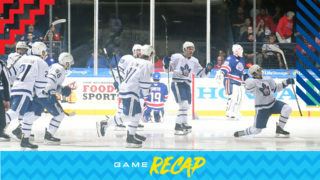 The Marlies had a goal waved off in the final minutes and were unable to come back from the three-goal deficit. These two teams are back at it tomorrow for the second half of their back-to-back at Coca-Cola Coliseum. Puck drops at 5:00PM. Chris Mueller opened the scoring at 13:27 of the first period. Mueller has scored 10 goals in his last 10 games and points (10-8-18) in his last 11 games. Mueller has 59 points (29 goals, 30 assists) in 52 games this season. Nicholas Baptiste scored his first goal for Toronto at 13:30 of the second period. Baptiste has 25 points (13 goals, 12 assists) through 65 games this season. 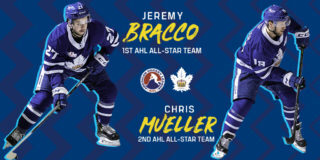 Jeremy Bracco registered the primary assist on Mueller’s first period goal. Bracco’s assist set the new single-season franchise record for assists (53). Bracco has recorded a point (2-10-11) in seven consecutive games. He has 22 points (4 goals, 18 assists) in his last 20 games. Bracco is now tied for the AHL-lead in points (71). Timothy Liljegren recorded the secondary assists on Mueller’s first period goal and Baptiste’s second period goal. Liljegren has 14 points (3 goals, 11 assists) in 36 games this season. Pierre Engvall picked up the primary assist on Baptiste’s second period goal. Engvall has 29 points(17 goals, 12 assists) through 63 games this season. Michael Hutchinson stopped 27 of 31 shots he faced. Hutchinson’s record with the Marlies is now 13-4-3-0 on the season with a .910 Save Percentage and a 2.80 Goals Against Average. Toronto is 20-9-3-2 since January 4 and have outscored their opponents 109-96, facing 17 different teams. In 25 of 34 games, Toronto has earned a point (45). Toronto went 3-for-3 on the penalty kill and 0-for-5 on the power play. Toronto did not capitalize on the power play for the first time in eight games. Bridgeport had a 32-25 edge in shots in all situations. Adam Brooks led the Marlies with five shots on goal. The Marlies are 23-14-6-3 against North Division opponents and are 1-3-0-1 against the Americans. Toronto is 28-9-1-2 when scoring the first goal of the game. The Marlies are 10-7-3-1 when tied after the first period and 7-5-3-2 when tied after the second period. Toronto is 16-12-2-2 when outshot by their opponent. The Marlies are 12-7-0-0 in Sunday games and are 6-3-0-1 in March. Jeremy Bracco has points (2-8-10) in six consecutive games. Chris Mueller has points (10-8-18) in 11 consecutive games. Andreas Borgman (concussion) did not dress for today’s game. He left Toronto’s game following the first period on February 16 against Springfield. Frank Corrado (knee) did not dress for today’s game. He has not appeared for Toronto since February 5 against Belleville. Colin Greening (knee) did not dress for today’s game. He left Toronto’s game in the third period on March 10 against Bridgeport and did not return. Calle Rosen (foot) did not dress for today’s game. He left Toronto’s game in the third period on February 22 against Syracuse. We want to have a better effort here but that’s a good hockey team. We’ve been just surviving and treading water here for quite a while and finding ways to get games to overtime and squeeze some points out of it. You finally play one of the top teams in the league and you overcome a little bit, so I wouldn’t really call it frustrating. I just think that it’s a sign that you know despite the fact that we’ve been getting points, our play isn’t where it needs to be and we need to find another level, find another gear and part of that is getting some healthy bodies back but another part of it is (we) just have got to stay hungry, we’ve got to execute at a very high level in all areas of the game, we didn’t do that today. We looked a combination of tired and scared today so that’s not a good thing for us. It’s been fun to watch him establish himself as a premier player in the league offensively, so it’s a great accomplishment. He’s a guy who his entire life has made other people look good, so for him to just be able continue to do that at this level is very good to see. Special teams and goaltending. Powerplay has been elite, penalty kill (has) kept it out of the net, goaltending’s kept it out of the net. So you know at five-on-five play, we haven’t scored more than one goal in a game at five-on-five, I think in over a month, so that’s been a challenge. But we’ve survived on the strength of special teams and goaltending and that’s allowed us to get to overtime and find ways to squeeze out points…Like I said, a part of that is us getting healthy and part of that is giving players a better plan and executing and communicating a better plan from the coaching standpoint, and then we’ve got to just continue to dig in as a team. We get another opportunity to play against a good team tomorrow so it’s a good chance for us to continue to grow. 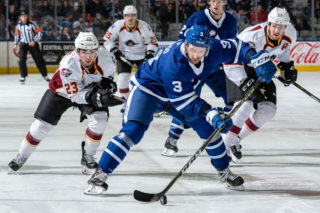 The Toronto Marlies return home today for their first of back-to-back games against the Rochester Americans. 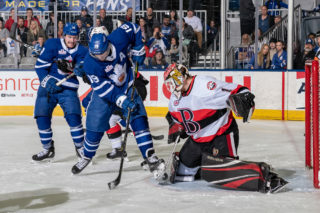 With the Marlies currently sitting third in the North Division and the Amerks sitting second, this weekend could be a preview of a potential first round playoff series. The Marlies are coming off a successful four-game road trip that saw them pick up six of a possible eight points. They’ve won three of their past five and six of their last 10 and currently sit third in the North Division and fifth in the Eastern Conference with 80 points. 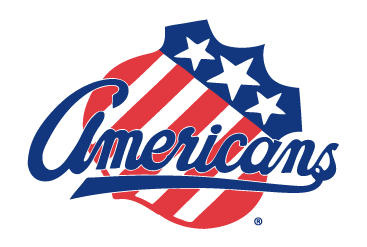 The Amerks are fresh off a loss against the Cleveland Monsters last night and most recently dropped back-to-back games against the league-leading Charlotte Checkers. They’ve won two of their past five and six of their past 10 and currently sit fourth in the league with 83 points. Although these North Division rivals are neck and neck in the division standings, their past three meetings have not been tight games by any means and have all had a four-goal differential. 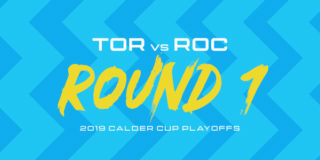 These two teams last met for a home-and-home back in January where the Marlies won 5-1 in Rochester and the Amerks won 5-1 in Toronto the next day. Players to watch: Jeremy Bracco has points (2-9-11) in six consecutive games. He sits second in league scoring with 70 points and continues to lead the AHL in assists with 52. Bracco is one assist away from setting a new Marlies single-season franchise record in assists. The record is currently held by Spencer Abbott (13-14). Chris Mueller’s goal streak came to an end on Wednesday, but his point streak is still alive after recording an overtime assist in Wednesday’s game. The first 5,000 fans through the gates today at Coca-Cola Coliseum will receive a bobblehead commemorating 2018 Marlies Graduate, Garret Sparks. Puck drops at 5:00PM on Leafs Nation Network and AHLTV. Fans in Ontario can also stream the game live in the Maple Leafs App.